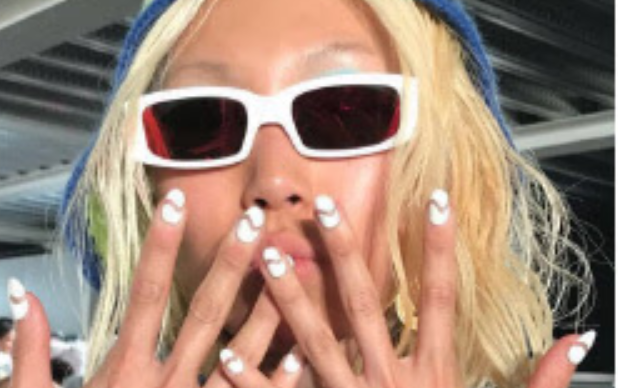 Hodels were wavy from head to toe thanks to Lauren Michelle Pires and team Nails inc. Click to get the look and shop the White Out Nail Polish! Industry nail expert Marian Newman and the Nails inc. team created a “disappearing metallic” mani using bestselling chrome shades. 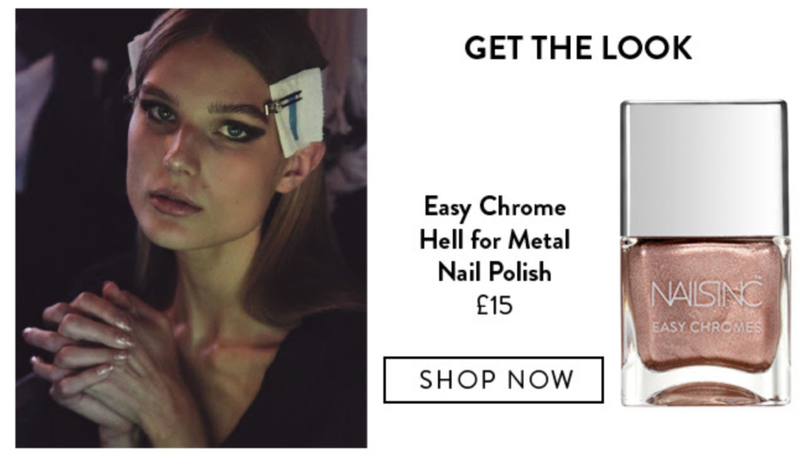 Shop the Easy Chrome Hell for Metal Nail Polish online! Tags: Fashion Weeklauren michelle piresnails inc.